Activision admits a beta test would have alleviated many of the problems with the subscription service. When Activision announced its subscription service for Call of Duty back at E3 2011, the executives were not naive to think there would be no backlash. CEO Eric Hirshberg had a crappy summer reading all the complaining about Call of Duty Elite and that made his decision to push forward with the service on the release of Modern Warfare 3 that much harder. Hirschberg admits the launch of COD Elite wasn't perfect with millions unable to log in to the social service, but he is looking forward to a bright future. The 7 million subscribers, 1.5 million of which are paying customers, certainly helps with that assessment. "I hesitate to talk about Elite, because even though we've had some early success with the numbers, it's far from time for us to be doing any victory laps on Elite," Hirschberg said at the DICE summit this weekend. "We had some technological stumbles at launch and that frustrated some of our fans. We're still making that right. But if we only talk about the things that go as planned then we miss some of the most valuable dialogue that can come out of this," he continued. A beta test would have alleviated the botched launch, but Hirschberg said a test of Elite wasn't feasible because the code was tied directly to Modern Warfare 3. "There was only one problem, we wanted to do a beta. None of the features were going to demonstrable in the beta because they were all tied into the code of Modern Warfare 3 and the beta was going to be Black Ops multiplayer. "With the launching of Elite we had a marketing Sophie's Choice," he said, referring to a mother having to choose which of her children lives. "Do we do the beta, which is the right thing to do from a development standpoint, or do we make the best possible first impression, which was probably the right thing to do from the marketing standpoint." 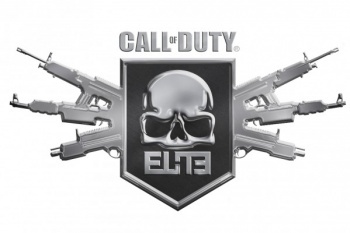 Hirschberg reaffirmed Activision's goal to keep Elite going strong. "Both Elite and [the Call of Duty XP Convention] were both experiments in how willing people are to enter a relationship, to treat it more like a brand or a lifestyle. Like I said, we're a long way from doing victory laps but we're in it for the long haul. We made it for the right reasons and believe its' right for a players and if we get it right we can change the relationship, make the game better and more fun for players."